New paradigms come and go, but email is here to stay in a big way for a lot of people. The one thing we can do is improve the way we interact with it. We can put the Inbox in its place and tame the experience and make it more manageable. The unique sender, contact and recipient-based views, along with chronological and message-size views help organize your Inbox. With a single swipe and tap, emails can be deleted, copied or moved en-masse. MailTamer makes email simple, making it easier for you to get that Inbox to zero and get back to what matters. So, get minimal-izing, get chopping, and get shredding. 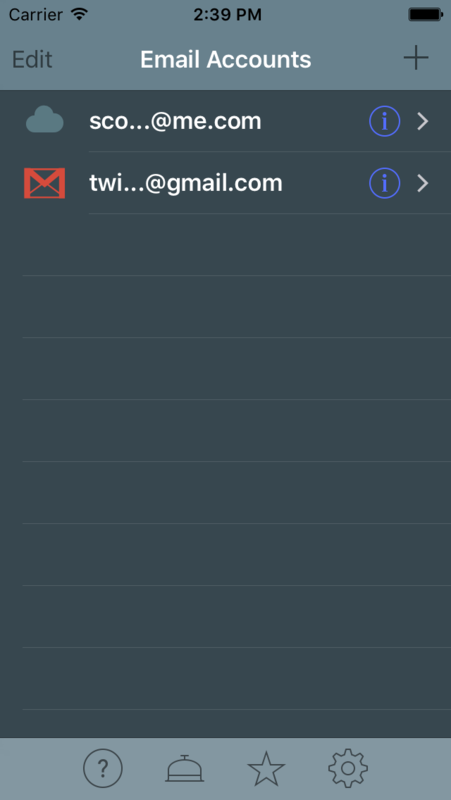 Get the Zen of a Zero Inbox. What makes MailTamer 2 a one-of-a-kind Email utility. Messages in your inbox and all folders are shown grouped by sender. 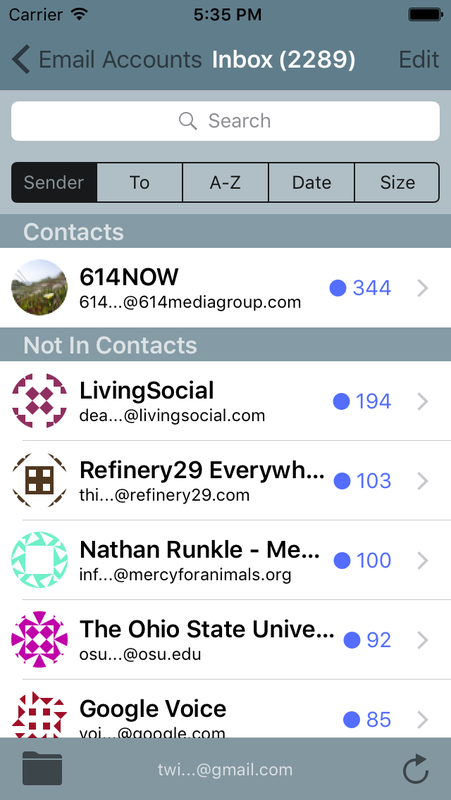 You can choose to view all senders, onlly those senders who are already saved in your contacts, or view sender by date showing individual messages like traditional email clients. One additional view available is Recipient View. Here you can see messages for each recipient of the mail in the selected folder. This is useful if you use different email addresses for a particular account. 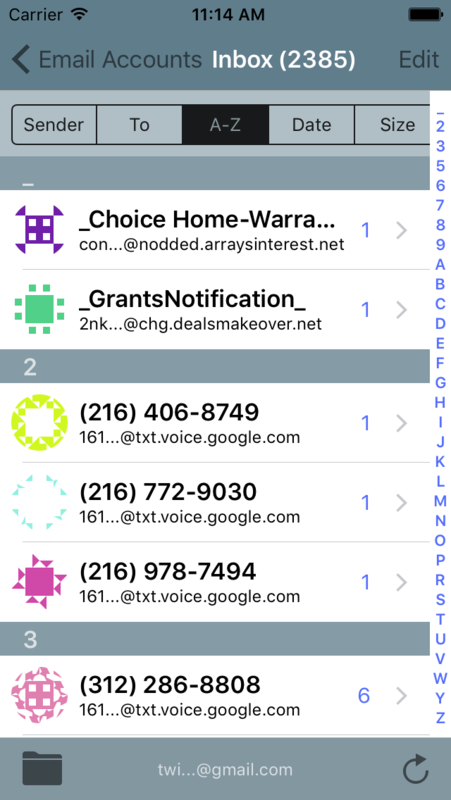 The Chronological view shows your messages as a traditional email client would show them to you, in reverse chronological order. Occasionally it's nice to see when your email arrived. While your inbox is shown by sender for simplicity and speed, you have the ability to continually drill-down to see detail on the messages sent by that sender. You can also view a web preview of HTML mail. New in MailTamer 2 is the ability to view and share Email attachments. We also added Read/Unread flags to help you see what you might have already seen. 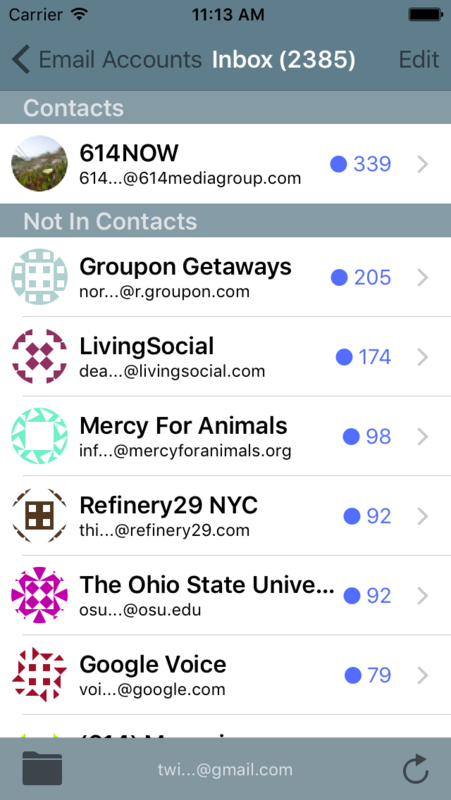 With MailTamer you can see messages broken out by senders in Contacts. 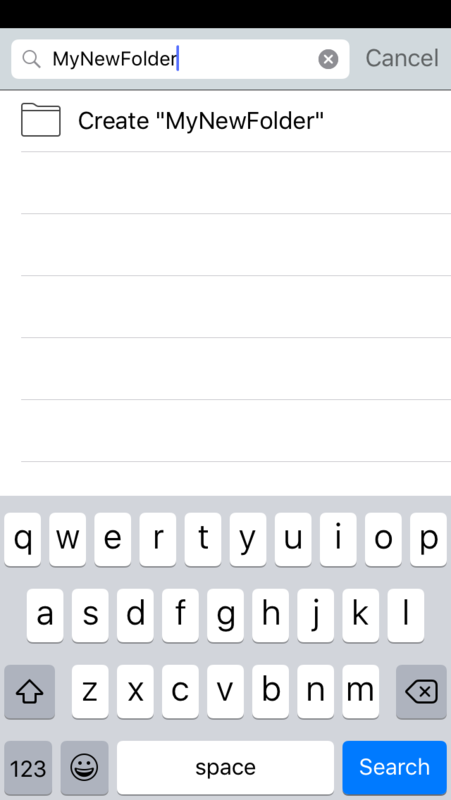 Mail from senders not in your Contacts on your phone are grouped together separately. Perform actions on messages from known senders or those not known. 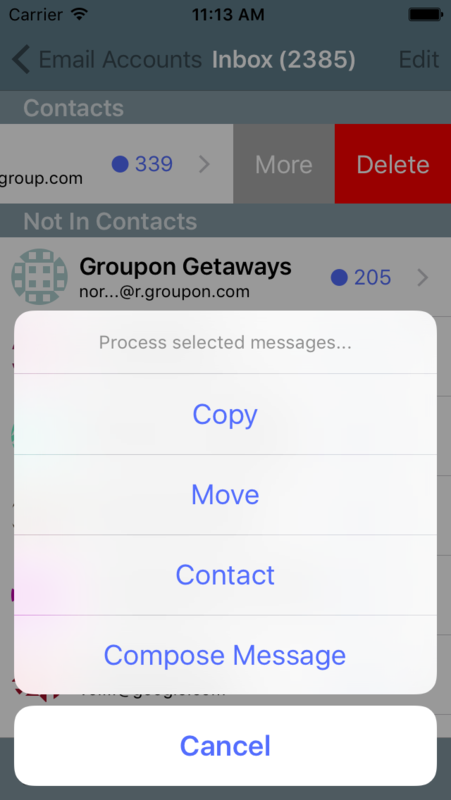 Easily view and create contacts for the message sender shown. 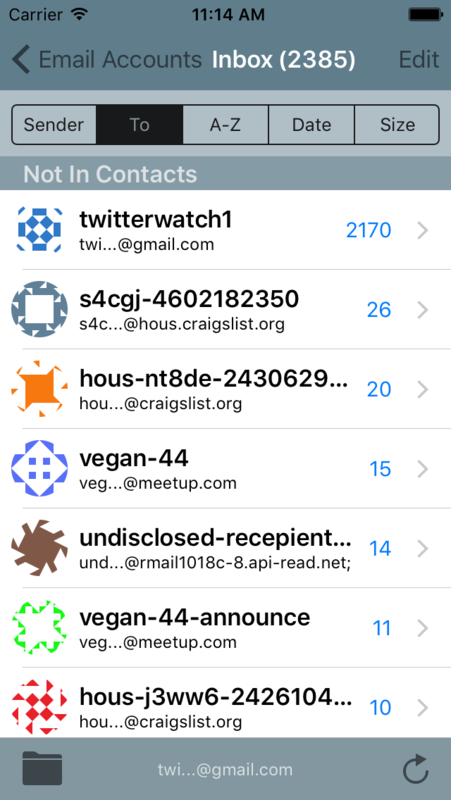 MailTamer integrates with Contacts on your mobile device. 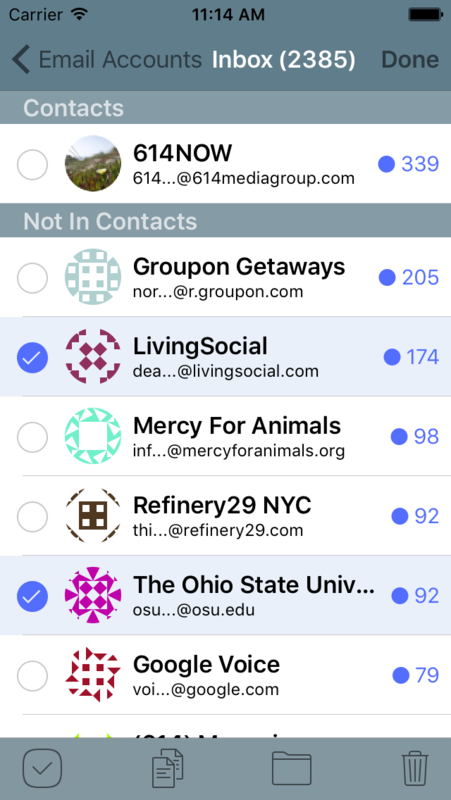 MailTamer can give you a sender view for a number of your IMAP and POP mail accounts. Easily connect to Gmail, Yahoo! 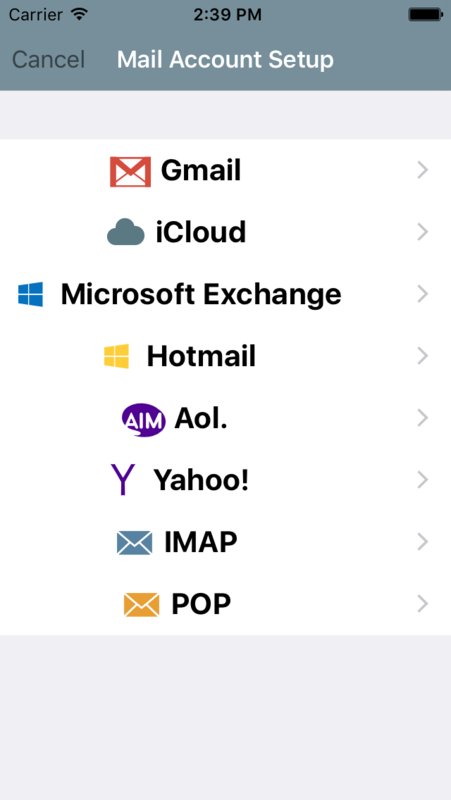 Mail, and other services like iCloud Mail, MSN and Hotmail. 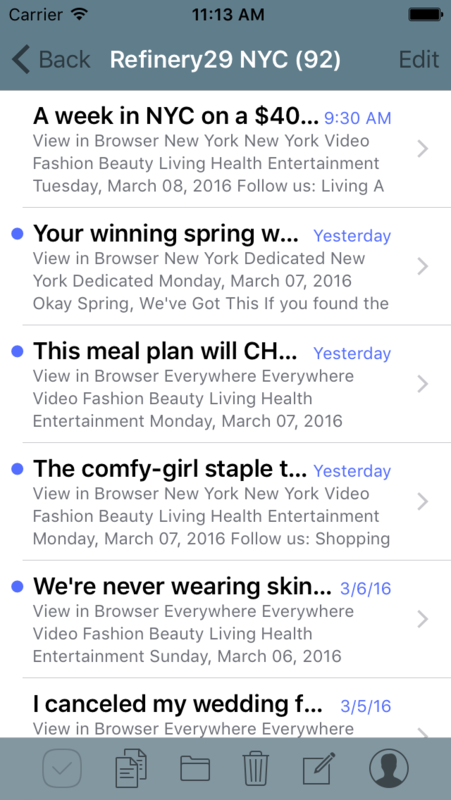 This view shows you the size of your individual email messages in descending size order. This helps people address the messages taking up the most room in their mailbox. Search senders in the sender-view and search folders when applying actions to a all or selected messages. As you search for folders we give you the option to create folders at the same time. Here are some tips and information on how to get the most of your MailTamer expeience. We've gotten a number of requests from users who have very large Inboxes saying that MailTamer 2 does not seem to pull down all of the messages at once. An update will be issued soon (version 1.0.2) that will allow MailTamer to download more messages while in the background. Until then, you can update your phoine's settings to keep MailTamer running and thus let it grab information on all messages in your Inbox. To do this, go to your Phone's settings and set Auto-Lock to 'Never'. Caution must be taken, however, as your phone will remain unlocked and is exposed to anyone to access until you physically turn off the phone, or change the Auto-Lock setting back when MailTamer is done. MailTamer Unclutters Your Inbox Fast. 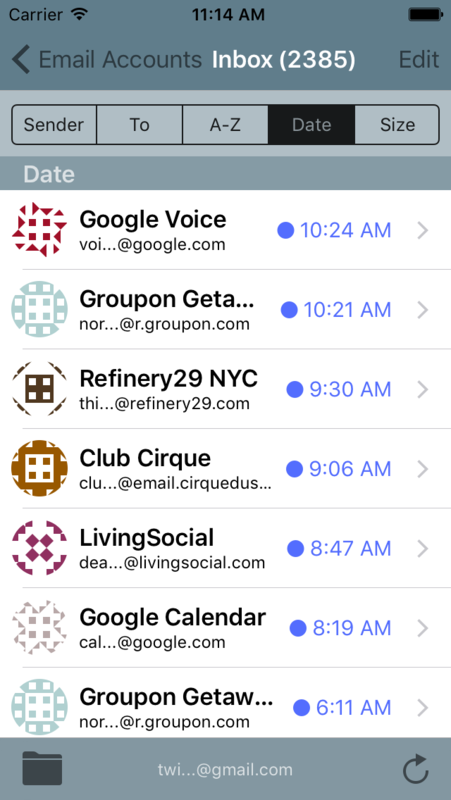 MailTamer – The Mobile Email App That Will Whip Your Email Into Shape. 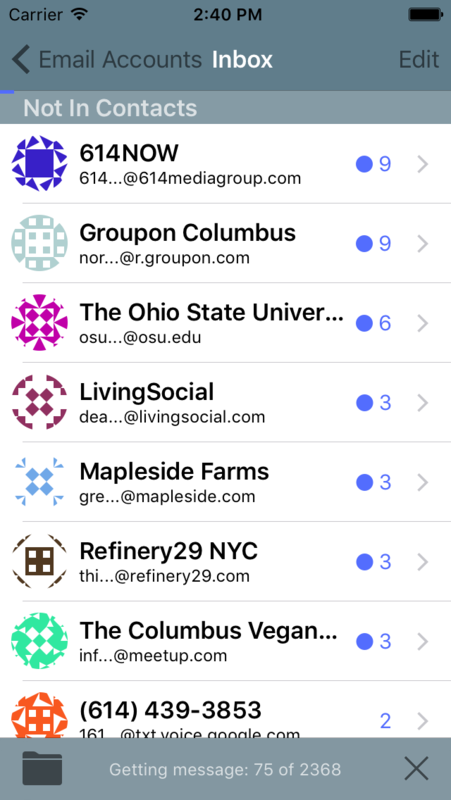 Email Evolution - A Clintonville couple developed an app to tame overflowing inboxes. Their next goal: growing the business. I love the idea of the sender view and the recipient view so that I can find all of the e-mails from a certain sender in one place. Being able to swipe and assign e-mails to a folder helps make great use of downtime to get organized. Just wanted to let you know that this last update has resolved the issues that I was having with the iPad. Thanks for listening to my feedback. I will recommend this app to all my friends and family. I absolutely love mail tamer ! It took my inbox from 11k emails down to 400 in minutes! Genius! "MailTamer — Semi-Finalist for TechColumbus Innovation Award"
We’re very excited to have MailTamer selected by TechColumbus as semi-finalists to be this year’s Outstanding Product and for Scott Greiff to be Inventor of the Year. Ria and I have been working very hard to spread the word about MailTamer and it’s nice to see some of that effort pay off by being recognized this way. While at this point we’re semi-finalists for the year, our fingers are crossed for MailTamer to take us all the way.